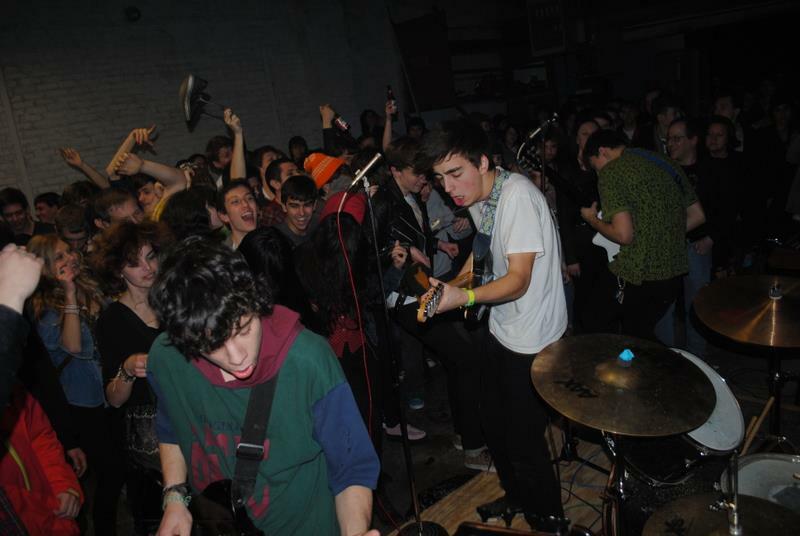 19-year-old wunderkinds Twin Peaks play a basement show in Chicago. 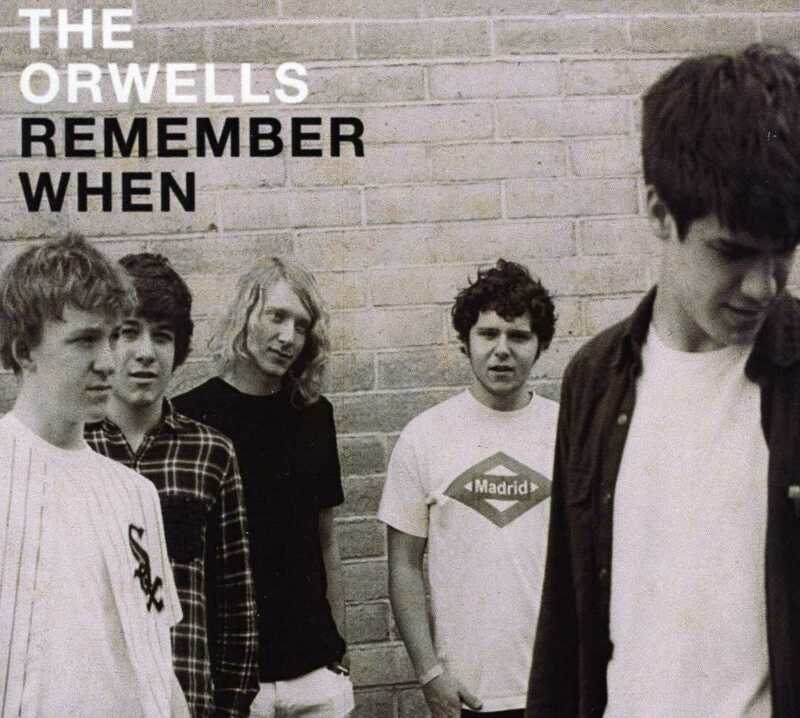 The Orwells debut album, "Remember When," was released in August 2012. They were 17-years-old at the time. In a recent interview with Pitchfork, the onetime teenagers of Chicago glam-rock band Smith Westerns are suddenly all grown up. The baby-faced trio surfaced on the local music scene with a self-titled LP in 2009, then catapulted to indie stardom with Dye It Blonde in 2011. Today, the boys of Smith Western have matured into full-fledged adults: settling into apartments in Logan Square, toning down their hard-partying ways and delving into more personal and lyrically-reflective themes on their third album, Soft Will. Their songs are less cheeky this time around, and written with the awareness that every action has a consequence—some of which may have come back to haunt them. "The main goal for us was to have an audience, and that we&apos;d grow," said Smith Westerns frontman Cullen Omori. "And, you know, we want to make sure that our parents still like us." Up-and-coming Chicago band Twin Peaks may follow a similar course, as a strong showing at SXSW and a newly-inked deal with Autumn Tone Records could also mean a fast-track to fame for these 19-year-old rockers. They name the Smith Westerns as one of their biggest influences, along with youthful compatriots The Orwells and Windy City stalwarts White Mystery. "Alex White [the female half of White Mystery] was one of the first people to really support us," said Twin Peaks lead singer/guitarist Cadien Lake James. "That&apos;s what the DIY scene is about." The four-piece outfit (which also includes guitarist Clay Frankel, bassist Jack Dolan and drummer Connor Brodner) has been playing together for years, but their high school graduation was a critical turning point in the band&apos;s trajectory. They tried college in the Pacific Northwest; but after just one semester, ultimately decided to return to Chicago and focus on their music. "Chicago is home to us," Dolan said. "This is where we should be." The momentum behind Twin Peaks has grown exponentially in the past year, so it would appear that they made the right decision in putting college on hold. In addition to their lightning-in-a-bottle talent (Autumn Tone will be reissuing their stunning debut EP Sunken on vinyl in June), the group is lucky enough to have parents who support them, older musicians who look out for them and legions of young fans who regularly fill up the basements, backyards and other pop-up spaces where under-21 rockers can legally play. Because most Chicago music clubs have a strict 21-and-over policy, young bands are usually forced to rely on an underground network of DIY venues in order to draw a crowd. Twin Peaks found this out the hard way at SXSW as well, since most of the shows that they wanted to play and see there were off limits. Luckily, The Orwells were in Austin at the same time to throw an epic house party for the under-aged (themselves included). The "flower punk" band from Elmhurst, Ill. exploded on the hot-new-music scene last summer with the release of their debut album Remember When, garnering high-profile exposure from Pitchfork, Spin and MTV. Orwells lead singer Mario Cuomo dropped out of high school before his senior year, while the rest of his band mates (guitarists Dominic Corso and Matt O&apos;Keefe, bassist Grant Brinner and drummer Henry Brinner) finished early. Backed by Autumn Tone Records and the popular audio blog Aqarium Drunkard, the notoriously debaucherous group has toured the U.S. numerous times and, for better or worse, officially steeped themselves in the hard-partying lifestyle. Whether the Orwells will continue their meteoric rise or burn out just as quickly remains to be seen. But with their impressive songwriting chops, thrilling onstage antics and a plum set at this year&apos;s sold-out Lollapolooza festival, I&apos;m betting on the former. Twin Peaks - Stand in the Sand from RYAN OHM ▲ on Vimeo. Leah writes about popular culture for WBEZ. Follow her on Twitter @leahkpickett or join the conversation on Facebook.